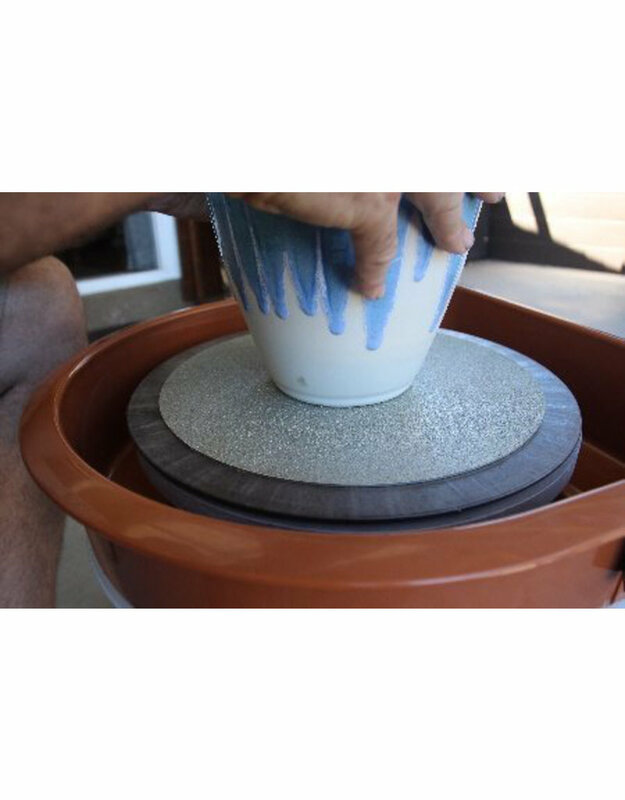 Diamond Grits removes glaze drips or high-fired clay or glass. - Diamond abrasive grinds pottery faster. - Level the foot of a pot that got warped during firing. - Peel and stick backing to attach the disc to a bat. - Far superior to Silicon Carbide grinding. - Use with water to control dust and prolong tool life.